There’s so much going on here. There’s never a dull moment. I just got back from a mission trip to Armenia. Several of our physicians and associates joined me as well. It was a wonderful trip that included two sites. A team went to Noyemberyan where they delivered care to over 1,455 patients and conducted 50 major surgeries. The second team, which I was part of, proceeded to Stepanakert where we conducted over 250 major surgeries and visited three outlying villages and conducted clinics. We were able to see over 308 patients in these villages and deliver much needed medical care. Special thanks to Drs. Laurence and Mary Spencer-Smith who worked tirelessly from morning to night to serve the people of Armenia. Also, thanks to Dr. Sam Loh, Dr. Sarkis Kiramijian and Dr. Simon Keushkerian as well as our chaplain Edgar Urbina, Becky Berberian, Meri Edjhuryan, Pui Yi Tam, and Henrik Yaghoobian. Everyone worked very hard and made a huge difference in the lives of the people who needed medical care very desperately. Our team included 70 people from Adventist Health Glendale, Adventist Health White Memorial, Chevy Chase Surgery Center, PIH, Providence St. Joseph, Beverly Hospital and several other institutions. 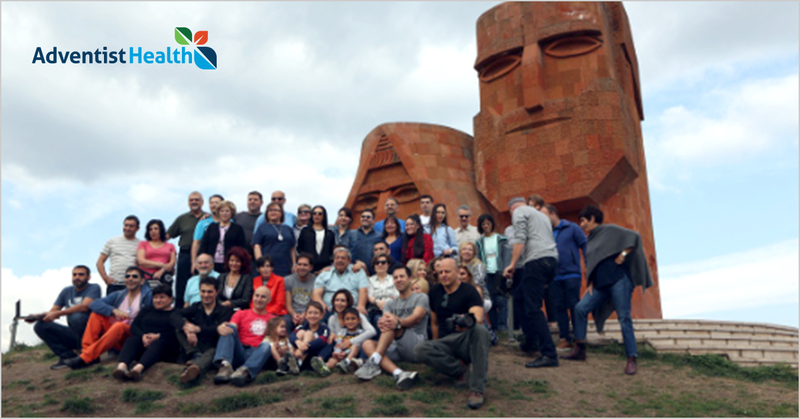 The trip was very successful and the impact was felt throughout the country from Yerevan to Artsakh. This trip was sponsored by Adventist Health Southern California. Adventist Health Glendale was the lead institution on this trip as they have been going to Armenia for several years. I feel very fortunate to work with such a dedicated group of individuals who give selflessly of their talents and resources to help those who are less fortunate. I am also thankful for Adventist Health who is committed to our mission and to Live God’s Love and to bring our mission statement alive through action. I invite you to join us next year as we travel to Zambia Africa again for the 2019 mission trip. Armenia is a beautiful country. Here are some memorable pictures to enjoy! You'll get inside info on the latest opportunities. Auto-populate using your Social Profile, or manually enter your work and education information. Babies don’t arrive between 9 and 5! We need Labor & Delivery nurses to... Nurse Leader Spotlight: Meet Tanya from Adventist Health White Memorial!